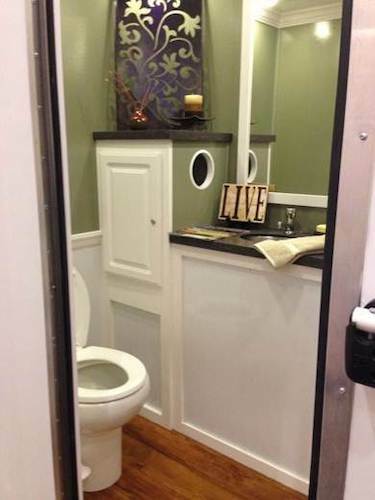 Provide ample restroom facilities at your next event or party without the less-than-elegant look of a traditional porta potty. 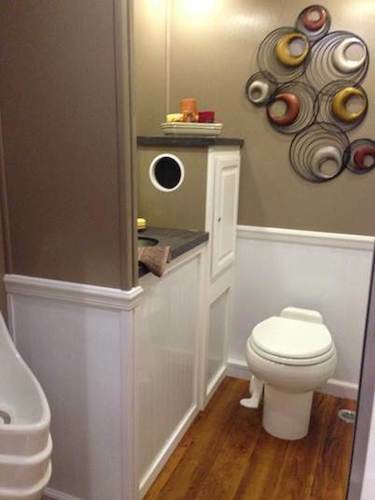 Our Diamond Series 2 Station restroom trailer features a beautiful interior to provide an intimate cottage-like atmosphere. Whether you're planning a wedding, fundraiser, or other special event, the 2-Station Diamond Series restroom trailer is a great selection for events with less than 250 guests. 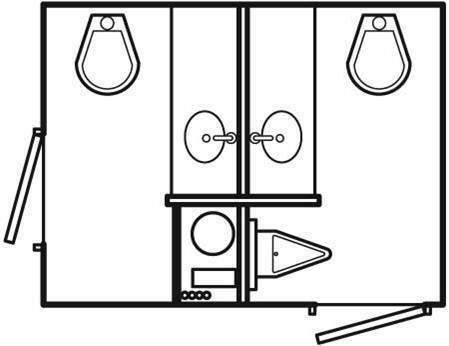 The restroom trailer can be set-up where you would like that has access to two standard 110-volt outlets on separate 20 amp circuits and a garden hose for water supply. We can also provide a water tank and generator if access to water or electricity is not available. 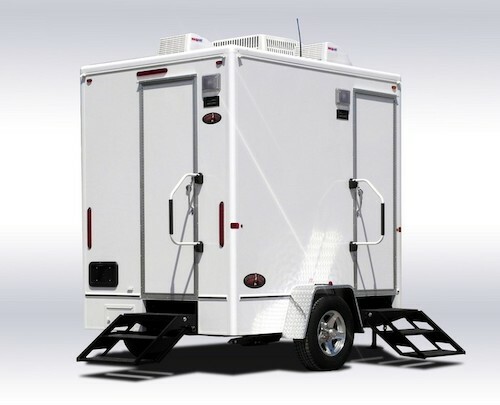 Interested in learning more about renting our Diamond Series 2-Station restroom trailer for your next event? Whether you live in Pennsylvania, Indiana or even West Virginia, request further information using the form below or connect with us through Live Chat. 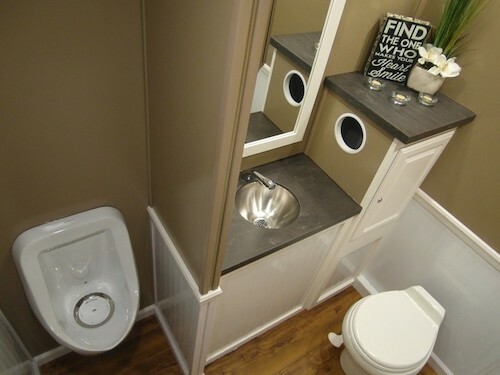 Superior Speedie's restroom rentals are perfect for outdoor parties at both private residences and public parks.